With the winter months right around the corner (and the autumn crisp already in the air), wrap yourself up in this colorful warm and cozy cowl. 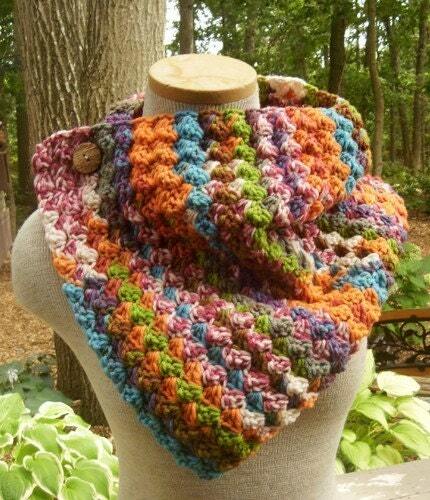 I love the diversity of this cowl as there are so many different ways to wear it! Wear it with casual clothes or when your all dressed up! It also makes a great gift. What a perfect way to stay warm, cozy and fashionable. So pretty and looks warm too!